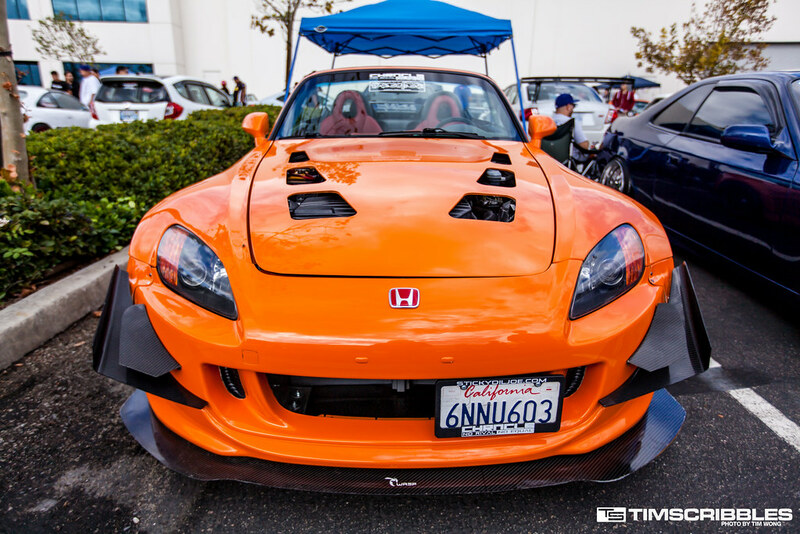 The Chronicles held its six year anniversary meet just this past weekend at the Eibach Springs facility in Corona. 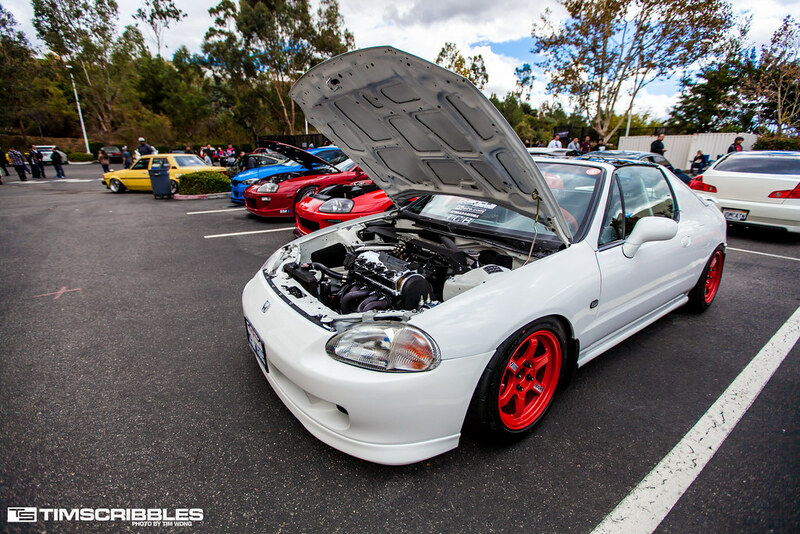 For those who don’t know, The Chronicles is mainly a Honda dedicated blog covering automotive culture in the Honda community on an international scale. My cousin, Joey Lee, has been building the site for many years. I have been following his blog since the beginning and it has in some part, contributed to the inspiration of the Timscribbles blog. This site was created only a few months after the birth of The Chronicles and to see his site grow to the success that it is today is inspiring. 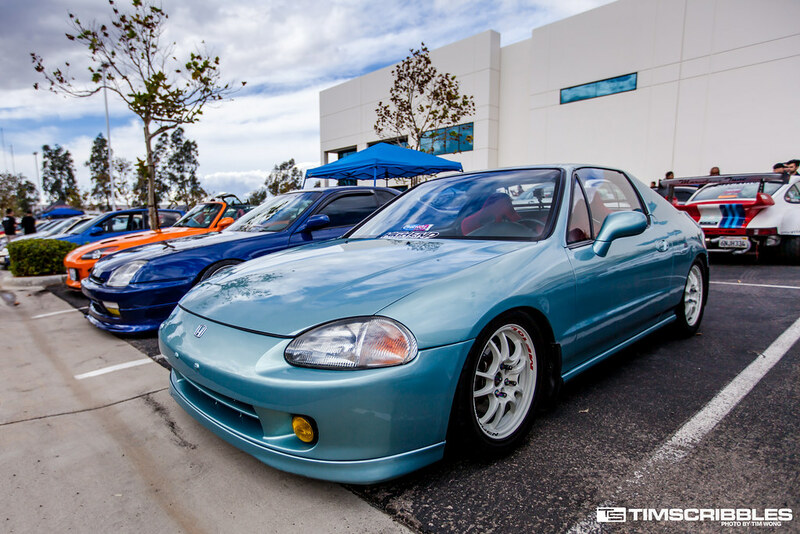 The anniversary meet is something that has been going on for a few years now and seems to have a steady growth each year. 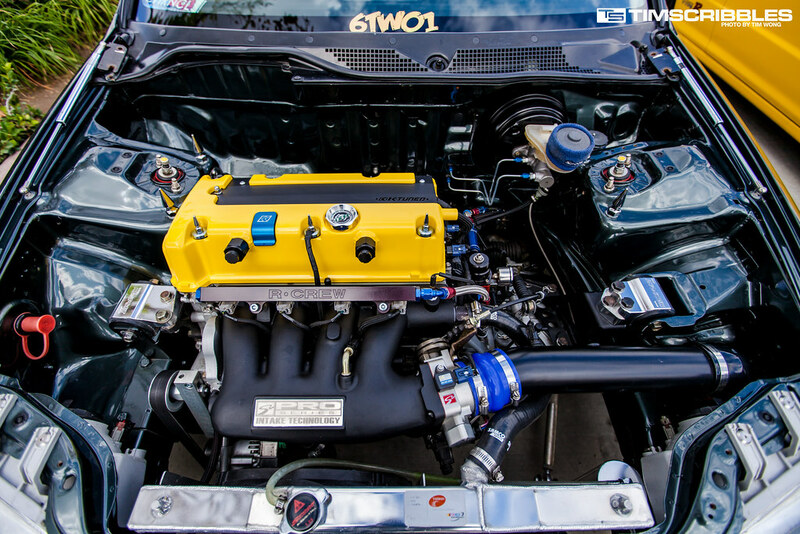 As this isn’t so much a car show or car meet as it is a way to give something back to the supporters and fans of The Chronicles with this amazing gathering of car builds in the community. 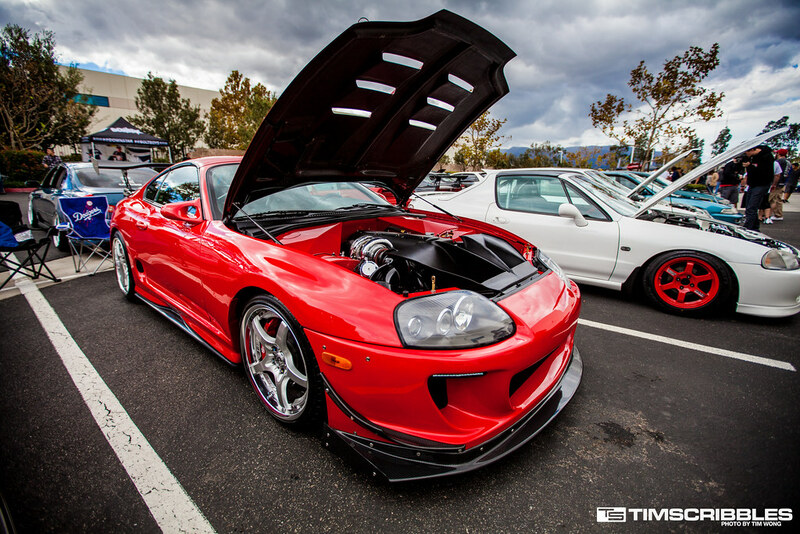 Now onto some of the cars at the event. 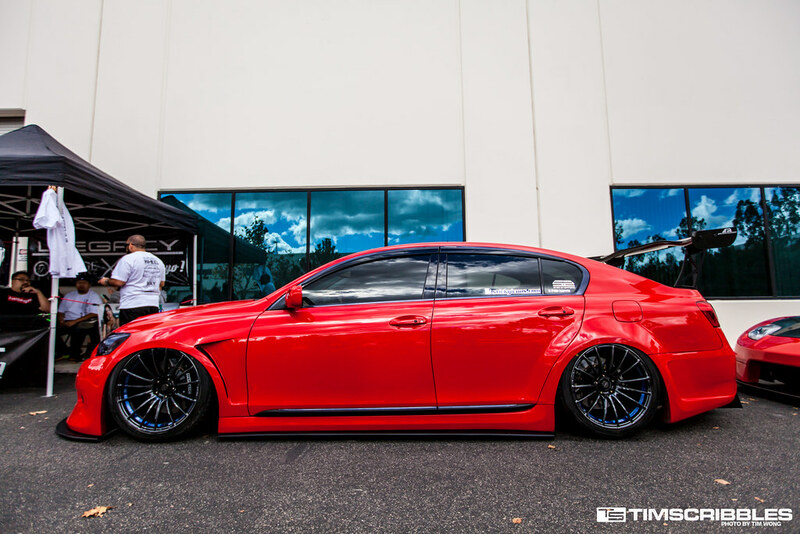 Joey brought out his Infiniti Q45 for the event. 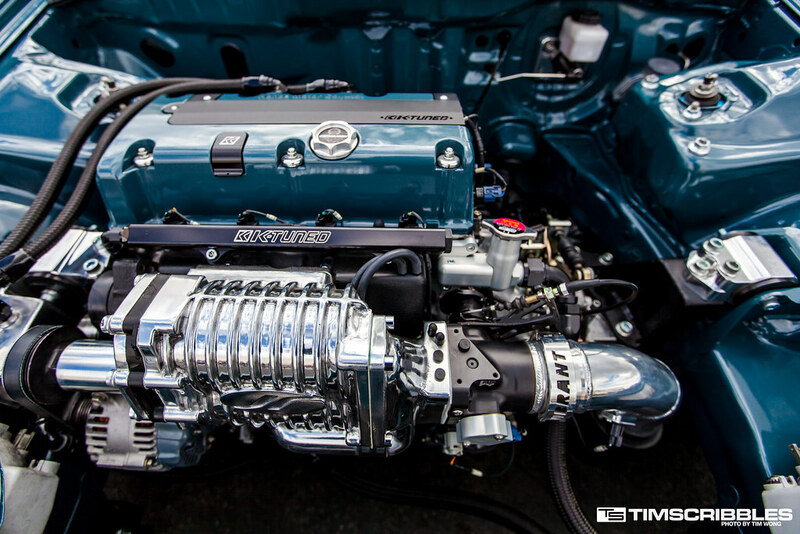 This Toyota Supra IV was hard not to notice because the engine bay setup was incredible in both functionality and form. 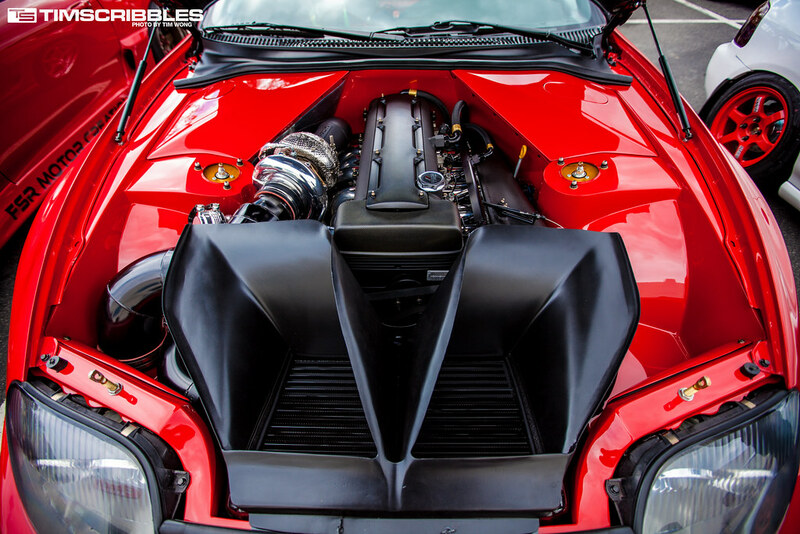 The massive vents diverting the flow of air was nothing I’ve seen in another Supra before. 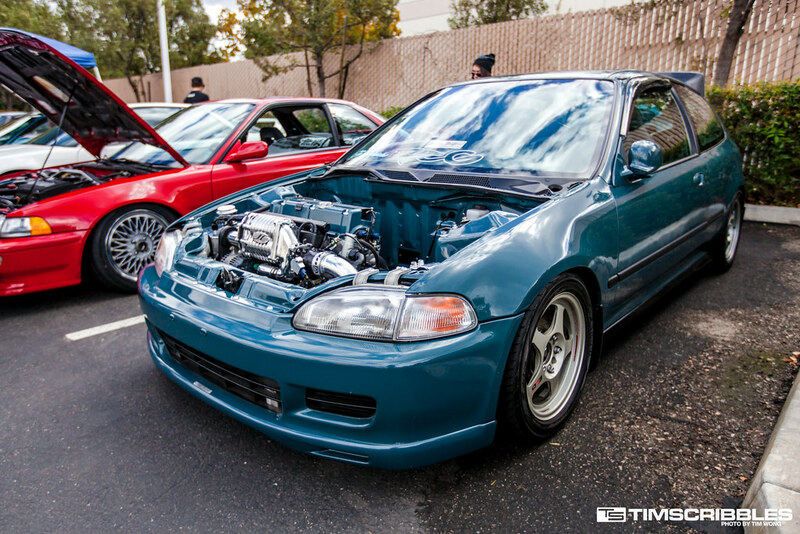 Recently, I’ve had 90’s era Hondas on my mind. I personally drive a 92 Honda Accord so it’s no surprise that they are something I think about. 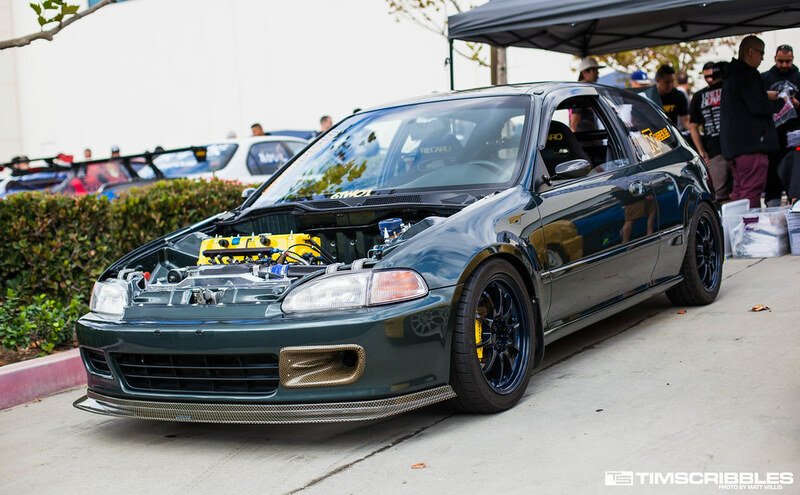 Even though many people on the internet like to talk down to Hondas, it’s mostly because they have no idea what they are talking about. There’s too much hypothetical nonsense being spewed out and regurgitated mostly due to bench racing and reading brochures these days. 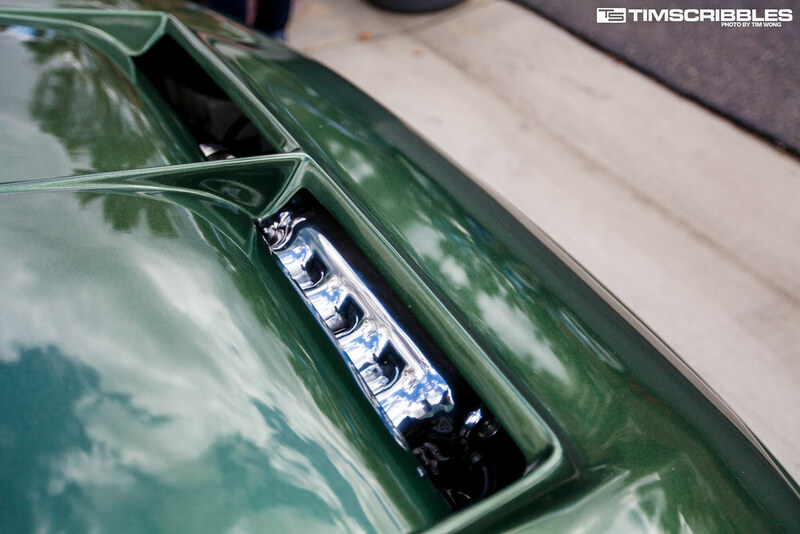 From people who have actually driven a wide range of cars and have real driving experience, these cars have a certain charm to their driving characteristics that make them so enjoyable. 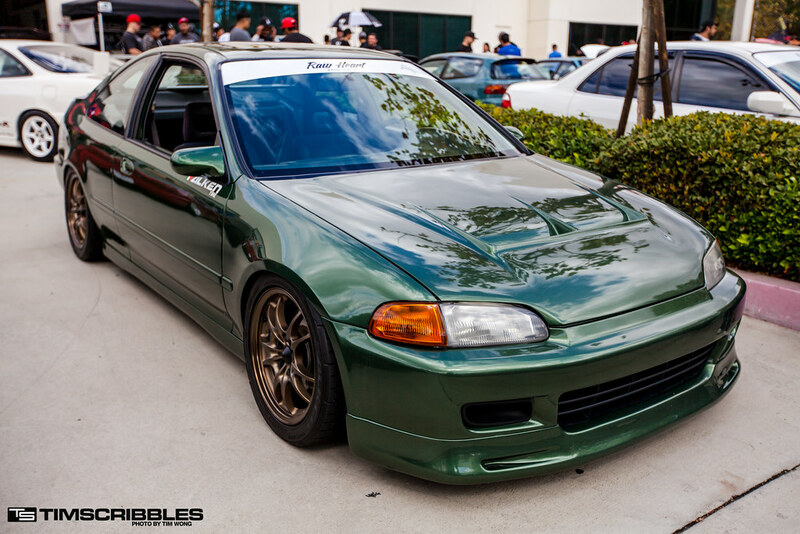 Even when I have many cars from a wide range later on in life, I’ll always have at least one of these Honda cars around. 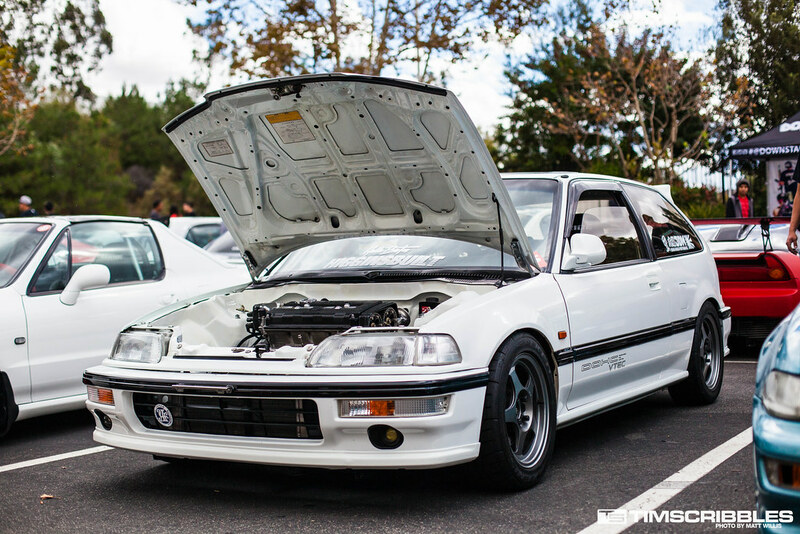 This Civic EF is a fine example of the breed. 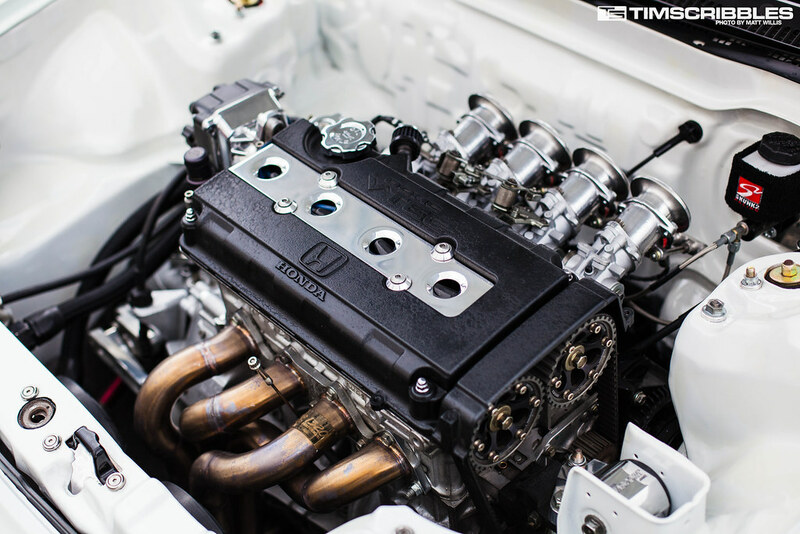 B18 swapped equipped with ITBs is not too wild for a Honda build, but simplicity and elegance to what makes it all the more perfect. 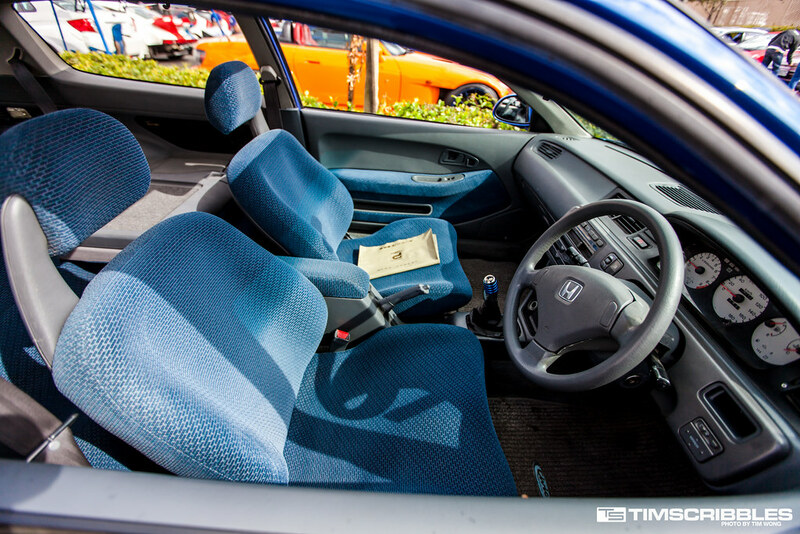 Even the interior was nicely done with a S2000 cluster, S2000 push start, and CF trimmings throughout. I hadn’t seen this NSX in ages. This Sorcery kitted NSX was all over the place back in 2010 and probably still my favorite Southern California NSX build to this day. This GS used to be more of a VIP build which I guess it still is even though it now has the guise of a track car with the new color and aero. 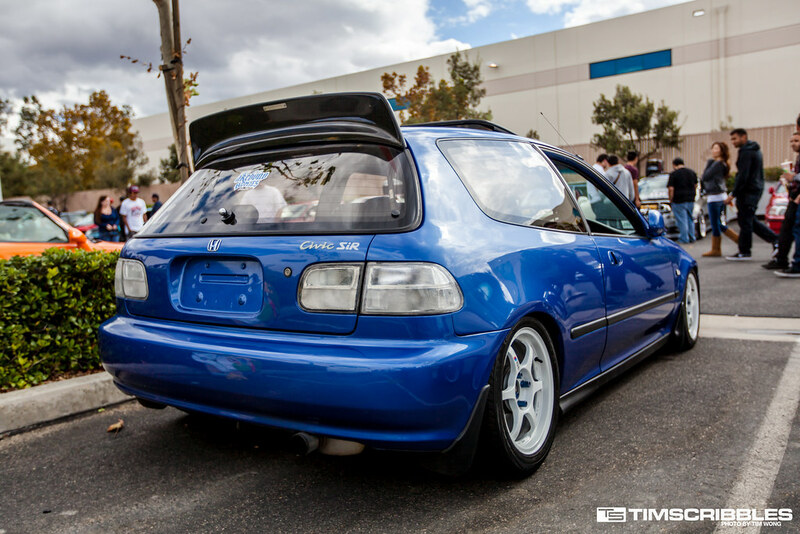 DPK David’s EJ Civic is always nice to see. The new Battlecraft hood color matched turned out much better than I expected. 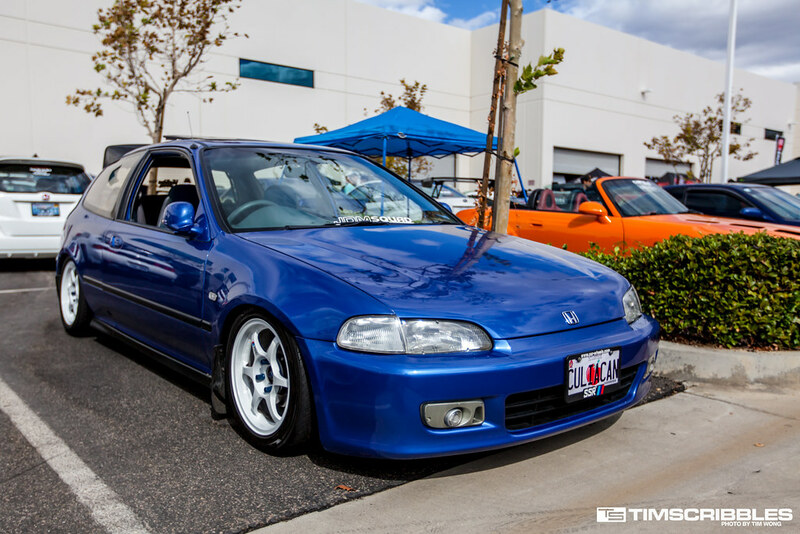 EM1 Civic on Volk Racing TE37s. 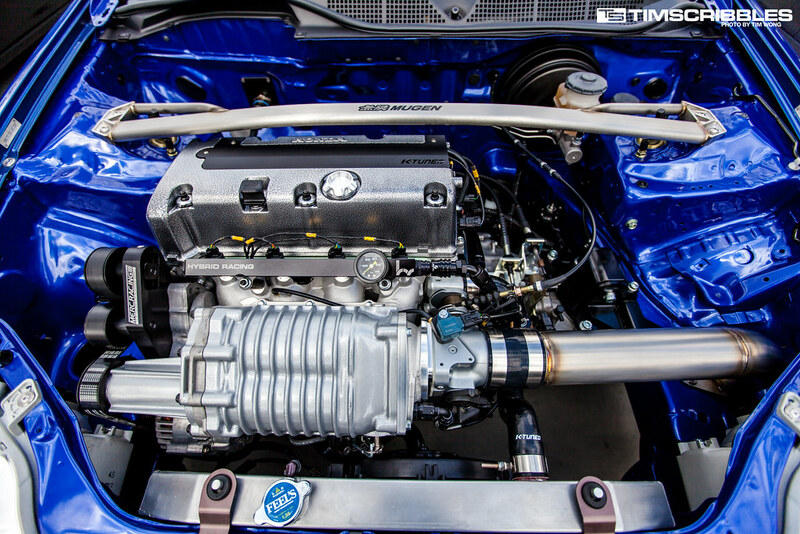 Mugen on the outside and supercharged on the inside. 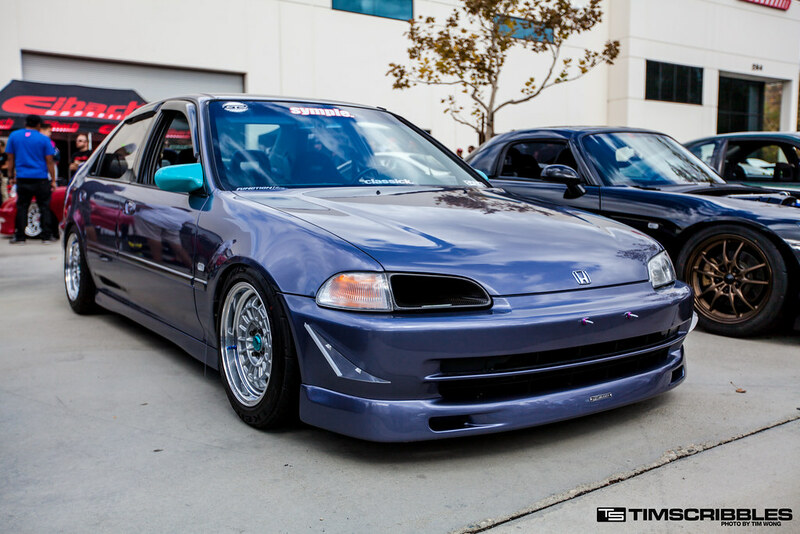 Authentic RHD EG Civic SIR. 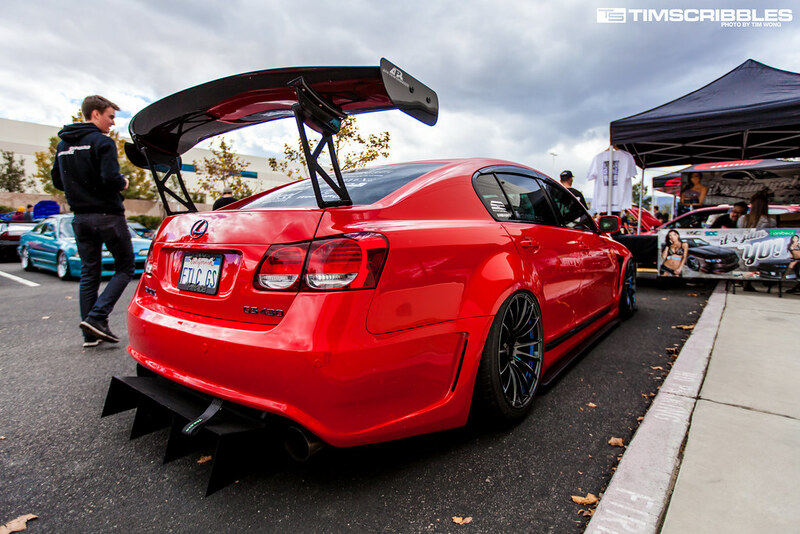 I really liked the all clear tail lights too. Ending part one with a group shot of the Loi-Spec ITRs.